Prosecutors are seeking the death penalty against Wade Wilson for shooting and killing Detective Bill Brewer and injuring another officer. 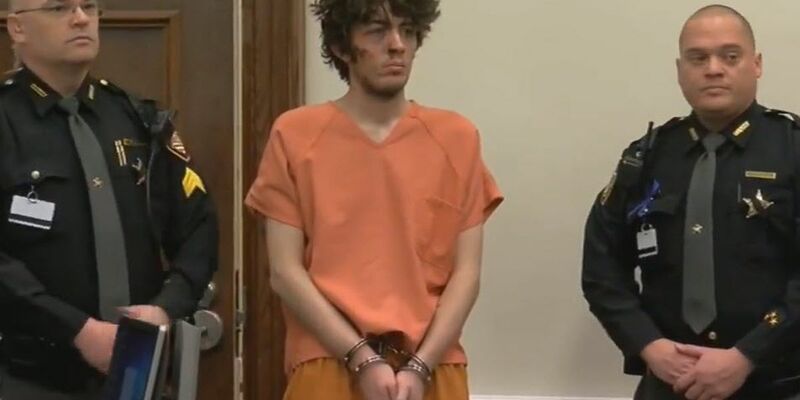 CINCINNATI, OH (FOX19) - The man accused of shooting and killing a Clermont County detective and injuring another appeared in court Wednesday for the first time since being indicted on charges of aggravated murder and attempted aggravated murder. The indictment came down Tuesday afternoon for 23-year-old Wade Winn who is accused of shooting and killing Detective Bill Brewer during a 12-hour standoff with law enforcement Feb. 2. Counts one and two are in reference to the aggravated murder charges. Counts three through 14 are in reference to attempted aggravated murder charges. Earlier this month, Clermont County prosecutors said in court they planned to seek the death penalty. At that time, bond was set at $10 million. Clermont County Sheriff Steve Leahy released a statement about Winn’s indictement Wednesday. Winn was live on Instagram during the incident, which took place at a Pierce Township apartment complex. Officials can be heard in videos naming the suspect and asking him to surrender. Prosecutors have said in court that Winn faked his own suicide and was "lying in ambush” when two law enforcement officers entered the apartment to render him aid. Then, according to prosecutors, he fired several shots, killing Detective Bill Brewer and hurting another officer.